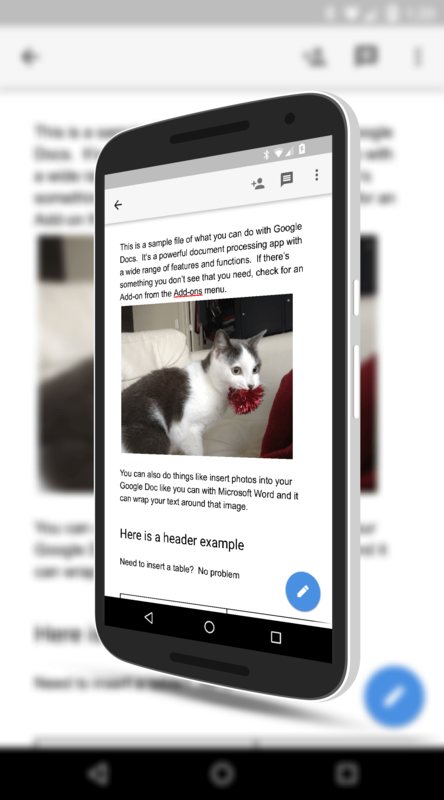 A new update to Google Docs, Google Sheets and Google Slides is hitting the Google Play Store that brings a more effortless way to get to your files while you are offline. In the update, recent files you have been working on are automatically downloaded to your device so you will have them when you are offline. Right now, if you want to work on a file while you are offline, you have to flag that file to download to your device. If you forget, you are out of luck until you get back online. This new feature removes this manual step. offline and when you get back online, your changes are uploaded. If your device runs out of space or the file gets too old, older files are removed from your device automatically. The idea is that you don’t have to remember to mark a file for offline use on your mobile. It will happen automatically for you, saving you some grief if you are offline and need to work on that presentation or document. The update to all three apps is rolling out in the Store now and if you have them installed, you should see the OTA for them over the course of the next few days.